4 Easy Ways to Get a Brighter Smile! The first introduction you make for yourself is with your smile. We consider women and men who smile more confident and positive. They also tend to be more hirable and are perceived as more fertile. Also, smiling more (even when you’re feeling down) can actually act as an emotional pick me up! So, are you comfortable with your smile? We’ve come up with a few ways to keep your smile dazzling and healthy. 1. Brush and Floss every day. It may sound like a broken record, but basic dental hygeiene is the easiest way to keep you teeth nice and white. Brushing and flossing keep cavities from forming, as well as keep stains from day to day activieis from lingering and dulling your smile. 2. Just say no–most of the time. Dark condiments (think ketchup or soy sauce). All delicious, but they also all cause staining. If you must consume one of these, do so in moderation and drink water immediately after. This will keep the stain from being as dark! 3. Get a whiter white. Commercial whitening products such as strips, toothpaste, gel strips, and rinses probably won’t achieve your desired whitening results. They may remove stains from the surface of your teeth, but many times it’s the deeper stains that really influence how we use see our teeth. 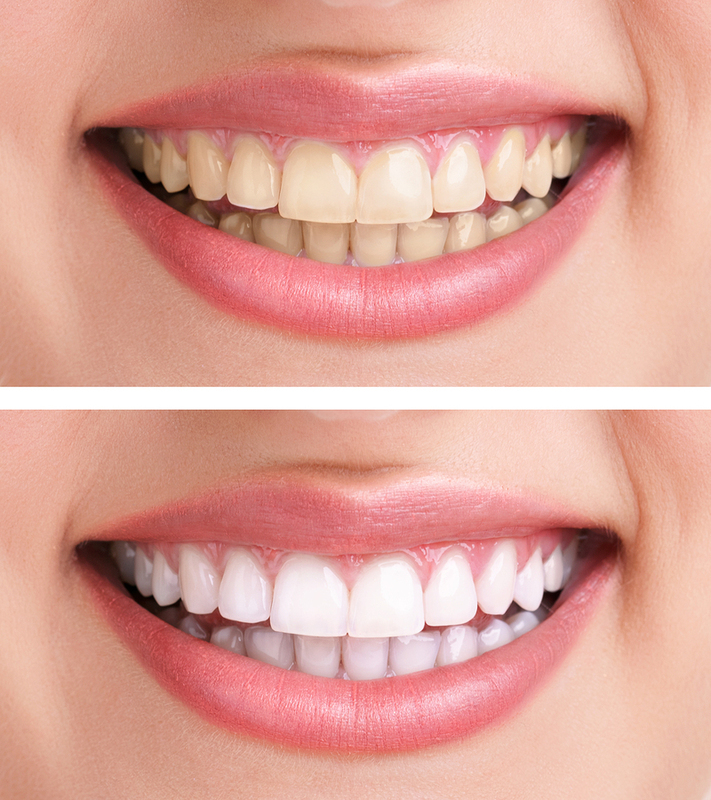 Consult with your dentist to see which professional whitening treatment can really get you that movie-star smile. Do you really need another reason to kick the habit? Besides causing oral cancer, nicotine will stain your teeth. There are many support aides that can help you become less dependent on nicotine. There are gums, patches, and even lollipops that can help! Visit us and speak with your dentist about which aide might be right for you! With just a small change in your habits you can be on your way to a brighter smile! Don’t forget to visit us every 6 months to make sure those pearly whites are in great shape! Keep smiling!